10,000 used clothing labels, many participants, 3m x 3m. 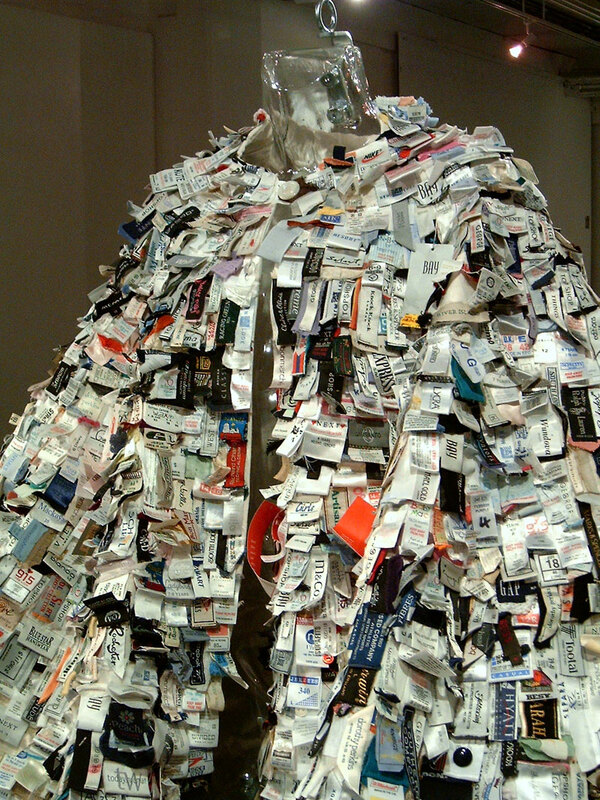 Robe is made up of 10,000 used clothing labels. The collection of labels was gathered over several years from discarded clothing and reassembled in one garment. Contemporary label identities provide a record of modern manufacture and dress. This is similar to the impressionist’s use of painting to record contemporary clothing and the rise of consumerism in the late 19th century. Robe is an extravagant rescue of fashionable waste. It provides a record of people and their garments, the shops that sell clothes and the speed of change in fashion and dress.